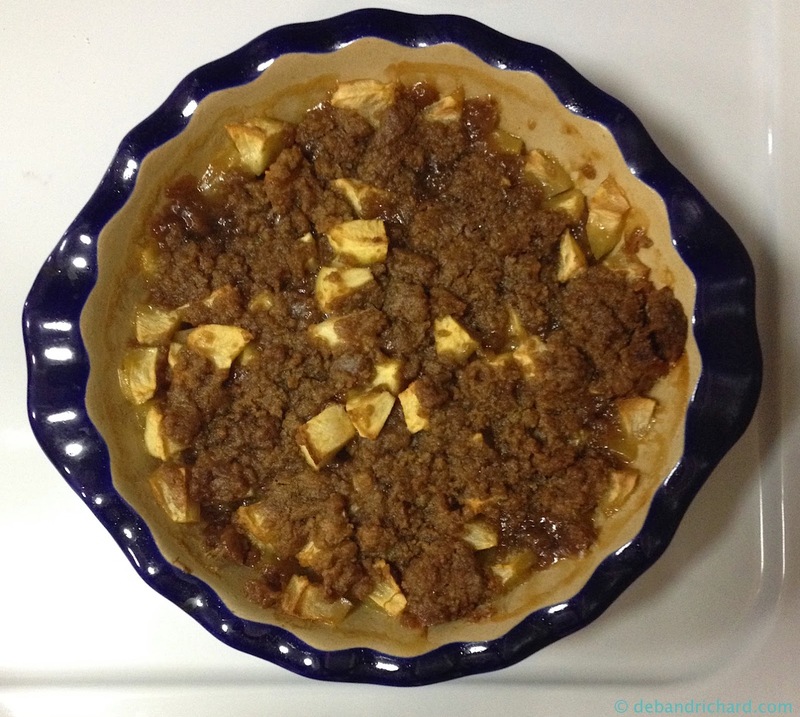 With apple season upon us, here is a yummy treat you can make with the apples. Since the fruit cobbler was named after my father-in-law, this one goes out to my mother-in-law (who actually sent me both recipes). Place apple slices in an ungreased 9x9 or 8x13 casserole dish. Mix topping ingredients thoroughly. Sprinkle over apples. Bake at 375℉ for about 45 minutes (or until apples are tender and topping is golden brown).